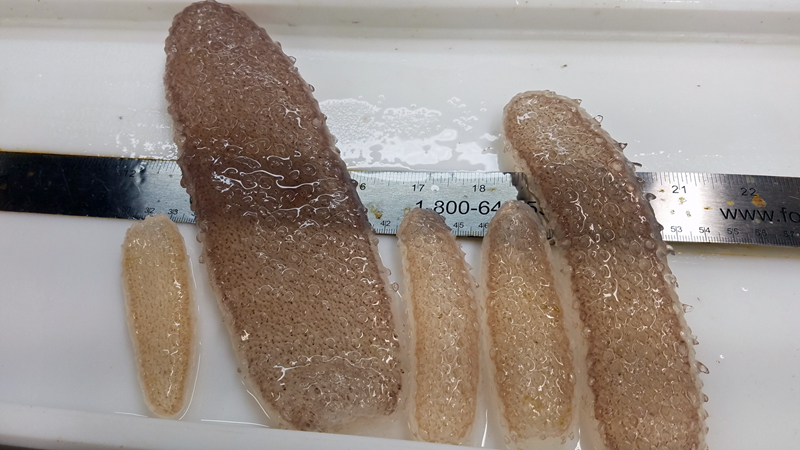 Pyrosomes –– a kind of jellyfish some have dubbed “sea pickles” –– have suddenly invaded the Pacific Northwest, washing up on shore to the confusion of beachgoers and clogging fishing nets to make it nearly impossible to catch salmon or shrimp. The unusual invasion grabbed attention nationwide, and a story about a UO graduate student’s role in researching the wiggly blitz spread across the internet. The arrival of the jellyfish is probably a result of warming ocean temperatures, which are letting the pyrosomes travel farther and farther north from the tropical regions where they usually reside. UO grad student Hilarie Sorenson was part of a research team that went looking for jellyfish but ended up studying the sea pickles instead. The pyrosomes weren’t too common near the surface of the water, but Sorenson said thousands were found about a hundred feet down. The vast numbers would get tangled in and weigh down fishing nets, even becoming so heavy the nets would sometimes break. As of now, nobody is quite sure how to get rid of them –– although Sorenson suggests pan frying if you’re feeling peckish. For more, see “’Sea Pickles’ Wash Ashore in Pacific Northwest” on National Public Radio, or similar stories on OregonLive, The Washington Post, the BBC and the Daily Mail, as well as other newspapers and websites nationwide. Sorenson is a doctoral student in marine biology. She is interested in studying how short- and long-term physical changes in the ocean affect biology. With the pyrosomes, she wants to look into how the creatures’ distribution, size and abundance relate to local environmental conditions.